Born in Asahikawa, Japan, to parents who owned a Kimono business, Takeshima began dancing at the age of four in Sapporo, Japan. At the age of 14 she left home to study with the San Francisco Ballet school. Yumiko Takeshima was a Soloist with Universal Ballet (Seoul), Alberta Ballet (Calgary) and Feld Ballet NY. In 1993, she moved from New York City to join the Dutch National Ballet in Amsterdam where she danced as a principle dancer. There she started to develop her passion for designing dancewear and costumes. In early 2002 she launched “YUMIKO” dancewear and the YumiGirl Network.. Since 2002, Takeshima has continued to develop her made-to-order line, as well as a ready-to-wear line, of high quality, great fitting, and beautifully designed dance and fitness wear for women and men. In addition, since moving to Amsterdam, Netherlands, Takeshima has designed costumes for numerous choreographers, most notably David Dawson and William Forsythe and has been praised in the press not only as a dancer, but also for designing some of the most elegant, simple, and esthetically beautiful dance costumes in the European dance world. Yumiko Takeshima has ended her dance carrier as a principle dancer with the Semperoper Ballett in Germany in 2014. She currently continues to devote her time to her YUMIKO business and her costume design projects. Yumiko Takeshima has danced the principal roles in all of the classical repertoire as well as the choreographies by J. Cranko, J. Neumeier, H. Lander, B. Cullberg, F. Ashton, W. Eagling, T. Tharp, R. van Dantzig, G. Balanchine, H. van Manen, C. Bruce, P. Lacotte, A. Messerer, J. Kylian, W. Forsythe, M. Graham, D. Dawson and many others. She created roles in Giselle, Psychic Whack, A Million Kisses to my Skin, The Grey Area, 00:00, Morning Ground, The Gentle Chapters, Das Verschwundene | The Disappeared; On the Nature of Daylight; The World According to Us ( all D. Dawson); Donna Elvira/Don Giovanni, Voice, Derde Symfonie (K. Pastor); Frank Bridge Variations; Six Piano Pieces (H. van Manen); Solitaire (A. L. Ochoa); Meditation & Variation on La Sylphide (D. Byrd); Subliminal Instant, Spazio Tempo (J. Godani); Even The Angels Fall (Redha); Access all Areas (Redha, A. Page); La Fille mal Gardée, Endymion Variations (R. Tobias); Spiegels Bevriezend (T. Van Schayk). 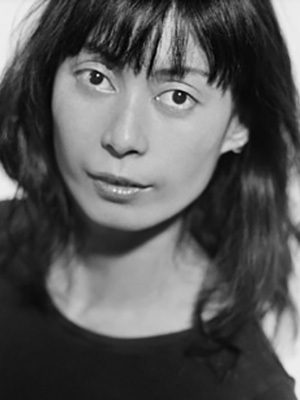 Yumiko Takeshima was featured in The Grey Area In Creation/ D. Dawson (Documentary – 2004) The Dutch National Ballet (Amsterdam); Kinno A-Sama, Ginno A-Sama (Documentary-2006) Japan TV; Giselle, fritten-film (Germany, 2008). 100 people who changed Japan (TV Tokyo 2009).